There’s a fun-filled day in store for the entire family on February 9, when The Metropolitan Museum of Art hosts its annual Lunar New Year Festival. 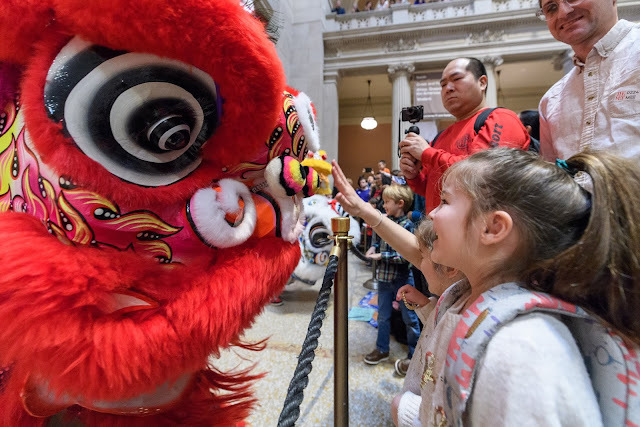 This year’s Chinese New Year celebration, the Lunar New Year Festival: Year of the Pig is true to the Met’s history of showcasing global traditions with performances and activities from across Asia. The pig, one of the twelve animals of the Chinese zodiac, has been a wildly popular character throughout history and also serves as a symbol of wealth. 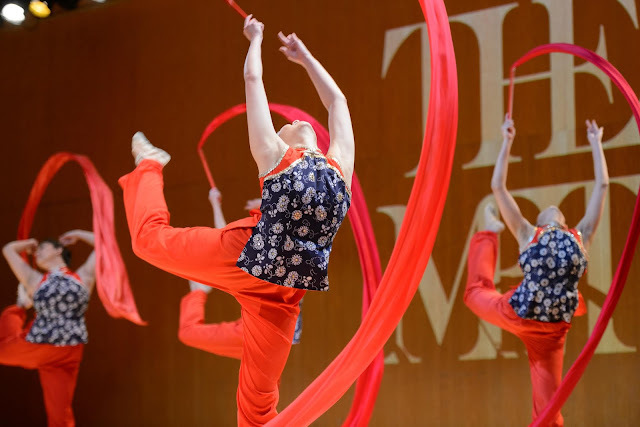 The Chinese New Year festival opens with a colorful Lunar New Year parade in the Great Hall, led by the Chinese Center on Long Island Lion Troupe. Dance and musical, artist-led workshops and interactive gallery activities will be staged throughout the building, encouraging exploration as well as providing entertainment. Your admission includes all Lunar New Year Festival activities. Some of the fun and educational experiences to be held on Saturday are a concert by drummers from the New York Korean Performing Arts Center and Chinese yo-yo tricks by the Valley Stream South High School Cultural Society. Kids will especially love the Sesame Street Puppeteers Featuring Alan Muraoka, a joyous experience with participatory singalongs and movement activities. Photos are encouraged so don’t leave your cameras or phones at home. Music will ring throughout the halls with Master musicians Wu Na and Chang Jing playing sounds of nature using Chinese zithers. Separately, Erhu-Cello Duo will perform contemporary works inspired by traditional Chinese classical and folk music. An extensive schedule of artist- and expert-led activities is planned throughout the day. Families can discover their zodiac signs, design piggy banks, and learn to fold and cut movable paper fish under the tutelage of the Museum of Chinese in America, an activity designed to ensure a year of good fortune. The Korea Society will teach paper doll-making, this year creating paper doll pigs and dressing them in traditional clothing. Looking for something a little more sophisticated? You can learn to make your own jewelry designs with inspiration from Chinese fortune coins. 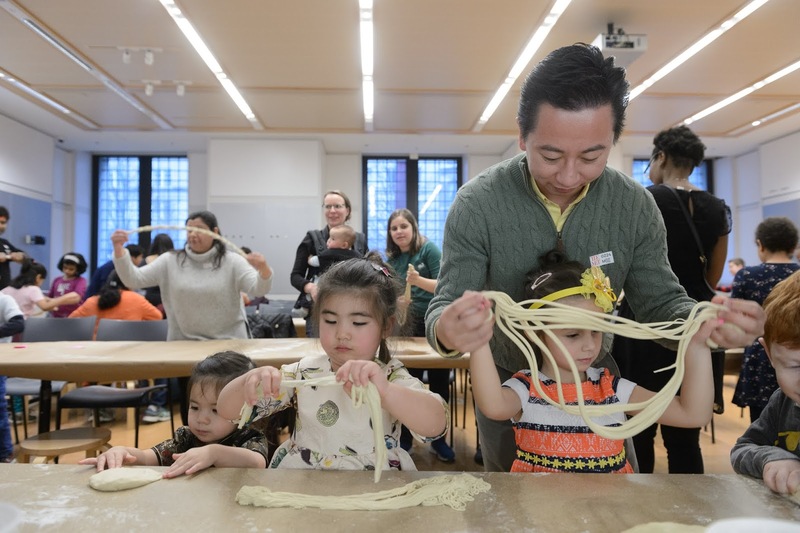 If food is your passion, celebrated noodle maker Chef Zhang will inspire you with a hand-pulled noodle demonstration and Ten Ren Tea and Ginseng Co. will invite families to participate in a Wu-Wo tea ceremony. Getting a bit restless from all of this instruction and culture? During a Hide and Seek by game designers GJ Lee and Brian S. Chung, participants will create their own digital camouflage to hide from predators. There’s also a series of educational programs as part of the museum’s gallery talk series. For the Lunar New Year, The Met presents Collection Chats with “new” New Yorkers, in partnership with the Queens Library and the New New Yorkers Program at the Queens Museum. In this series of gallery talks (given in both English and Mandarin), recent immigrants reference works of Asian art as they discuss their interests as new New Yorkers and recall memories of their Lunar New Year experiences. For the next six months, The Met is presenting the Celebrating the Year of the Pig exhibition, a show of depictions of pigs created by Chinese artists within the last 2,000 years. Particularly notable are a sixth-century pottery figure of a stout pig in recumbent position and two sets of Chinese zodiac animals, which illustrate both the universal appeal of pigs as a symbol of wealth and the integral role they played in human life. The Festival is scheduled from 11am-5pm. 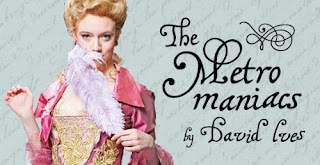 Admission is at the main Met entrance, at 1000 Fifth Avenue.